It’s getting hotter and hotter outside and Summer time is finally here. Need a refreshing beer to quench your thirst after some yard work? While you’re at the beach? Well we’ve got another Wheat beer for you at Tapped that’ll definitely match up with the heat. This week we are featuring Bell’s Oberon Wheat Ale. Bell’s Oberon is their seasonal wheat beer, coming in at a 5.8% ABV. With a nice blend of spicy hop notes and addition of wheat malts, Oberon stands out amongst wheat beer. The citrus notes and aroma are light giving no aftertaste, but still worthwhile enough to give your palate a taste of summer. It’s not Bell’s strongest or most sought-after beer, but it IS the beer when it’s hot out that you’d want to have in your cooler! We know it’s not a local brewery, but it shouldn’t take away the draw for a tasty summer wheat beer. You know we wouldn’t write about it if it wasn’t worth drinking! 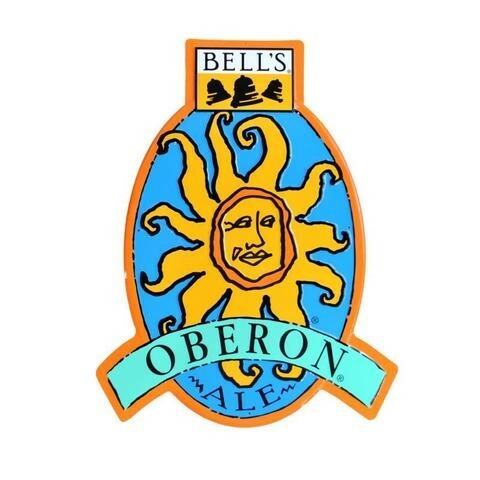 Come on by Tapped this week and celebrate the kick off to summer and Wheat beer month with a Bell’s Oberon! Cheers!